Miss. Katie Lee Hardy, daughter of the late William Hardy and the late Ollie Mae Chavis Hardy was born in Alamance County on August 27, 1927. She was the last survivor of her siblings. Katie attended the public schools of Alamance County. Several years of her life were spent in White Plains, NY. Katie later returned to Alamance County and worked with the Vocational Trades in Burlington, NC., while living in Graham, NC. She later moved to Mebane, NC where she resided at Sheridanville Family Care until her death. 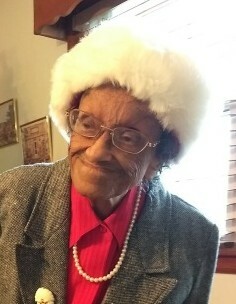 Katie departed this walk of life on March 27, 2019 at Cone Health Alamance Regional Medical Center at the age of 94. She leaves to cherish her memory a great-niece: Andrea J. Corbett of Burlington; a cousin: Mary Morrow Jeffries and any additional nieces & nephews, relatives and friends.